While this East Fourth Street Irish pub specializes in beer, Flannery’s also dishes out respectable across-the-pond fare. 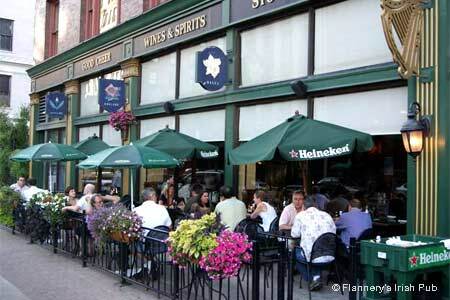 : On the whole, Flannery’s is a pleasant, relaxing spot to chill and chat. It anchors Cleveland’s East Fourth Street neighborhood and serves up brews, stews and Irish specialties. Don't expect to come here and get rowdy, though; this is a family-oriented establishment. You can’t go wrong with the bangers and mash or the shepherd's pie. And don't forget to wash it down with a Guinness. The pub specializes in Emerald Isle beer, but other imported suds and single malts are also available.